I’m not the only biker at the Uricchio Law Firm. Our invaluable legal assistant, Mandi, also enjoys a ride on the open road on her 1999 Harley Davidson Sportster. 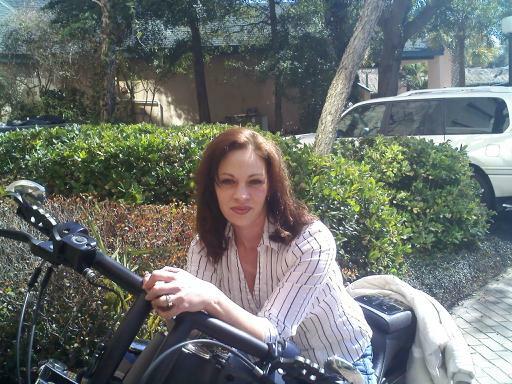 She has always loved motorcycles and was overjoyed when she met her husband, Stu, who rides a 2008 Harley Davidson Street Bob. He taught her to ride a little over a year ago. Stu has spent the last 6 months serving in Afghanistan, but will be back state-side in a couple of weeks, and then the two of them can hit the road together again. Connect with us on Facebook to see more motorcycle images.